Holiday Cottages in South West & Channel Islands. View details for Somerset Court Cottages in Wick St Lawrence, nr Weston-super-Mare, Somerset. Provided by Holidaycottages.cc. Whether you are looking for a romantic break for two, a gathering of friends or a longer family stay, Somerset Court offers the very best in self-catering cottage holidays. Set in some of the most beautiful countryside in Britain, it is a superb centre for touring the West Country. The mediaeval village of Wick St Lawrence is rural but convenient - the ideal place to relax and get away from it all. 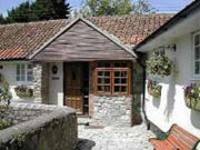 Our five cottages have been tastefully converted and renovated from original stone farm buildings. Each cottage has its own unique features offering a choice of three, two or one bedrooms. 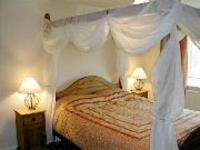 Four cottages have king-size 4 poster beds, and 2 cottages have luxury whirlpool / spa baths.